Students will be able to identify sounds in words and form the corresponding letter. While reading, encourage students to raise their hand if they also feel thankful for things in the book, have students guess what the author wrote based on the illustrations, and take time to sound out words and point out letter shapes. Ask students if they know of a holiday coming up that focuses on being thankful (they should say Thanksgiving). Ask students if they can think of any animals associated with Thanksgiving (they should say turkey). Tell students that today they will be making turkeys that show what they are thankful for. Hand each student a piece of colored paper. Ask if anyone knows how to trace his or her hand. Have them demonstrate this to the class. Have students trace their own hand or separate into partners to have someone else trace their hand. Pass out one turkey feather strip to each student. As a class, come up with one thing people are thankful for (explain that this should be one word). Demonstrate how to sound out and spell the word on the feather strip and glue it to a turkey. Break students up into small groups or partners to practise with one more feather strip. After checking-in to make sure that everyone understands how to complete feathers, pass out five more feather strips to each student. While students are working on their turkey feathers, any adults in the room should be circulating, answering questions, and assessing student abilities to identify the sounds in words and write the corresponding letters. Playing quiet music in the background can help to set a good working mood and keep conversations to a minimum. Encourage early finishers to create another turkey to bring home! Enrichment:Encourage students to write full sentences instead of single words on the turkey feathers and leaves. Determining the right punctuation can add an extra level of difficulty, too! Observe how students wrote letters on their turkeys. Are they formed properly? Call students back together. Give students the opportunity to share what they have written. 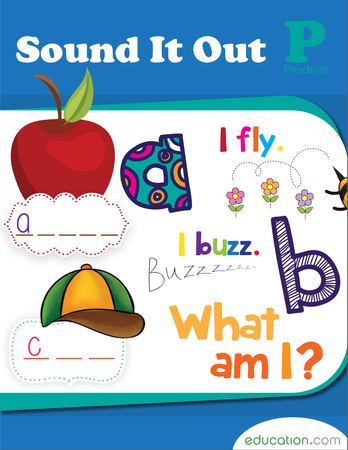 Ask: Did other students identify the same sounds and letters? What were some of the sounds they heard most often? 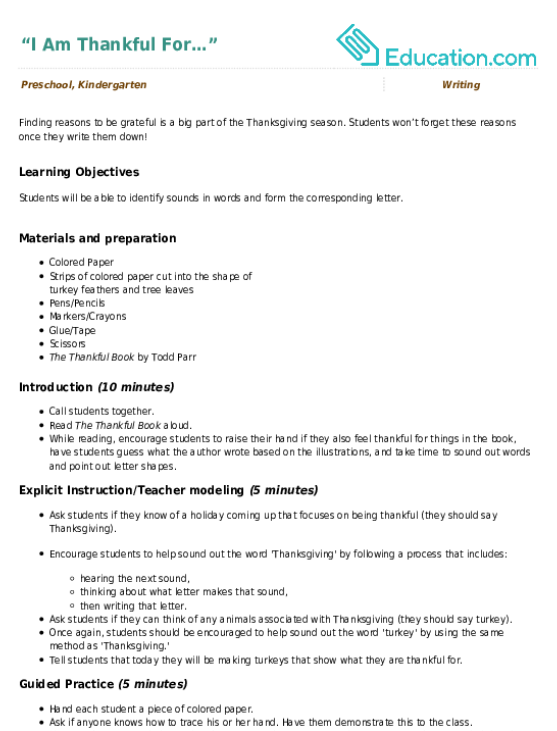 Were any letters hard or easy to write? Post students' creations in the classroom. For an interesting wall decoration, create a paper tree with students’ names on it and put the turkeys under it. I is for the intriguing iguana. I is for island! Kids completing this prekindergarten reading worksheet circle the pictures that begin with an I sound. 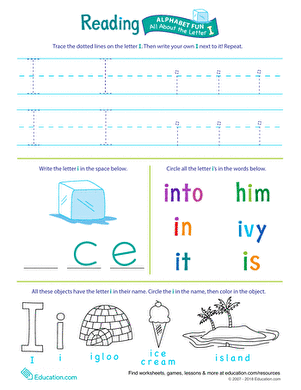 This worksheet is good phonics practise. 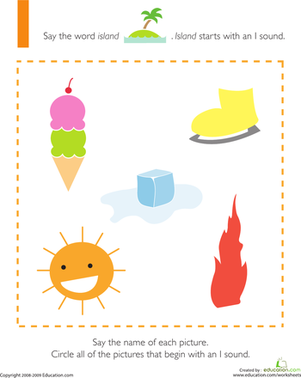 I is for ice cream! 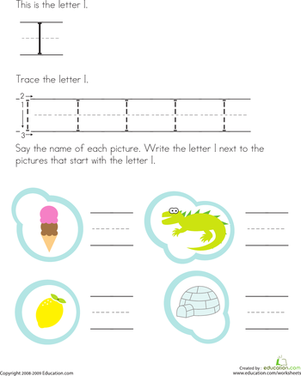 colour in the letter I and its matching flashcard featuring a picture of an ice cream cone and use them to practise memorizing the alphabet. What an incredible letter "I"! This creepy critter needs some colors, so bust out those crayons for some monstrous alphabet practise with your beginning reader. 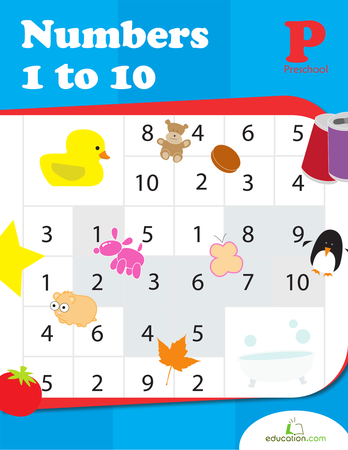 This worksheet will help your kindergarten practise her counting and her writing skills by giving her great fine motor practise as she learns about the letter I.